love, laurie: ice, ice, baby! 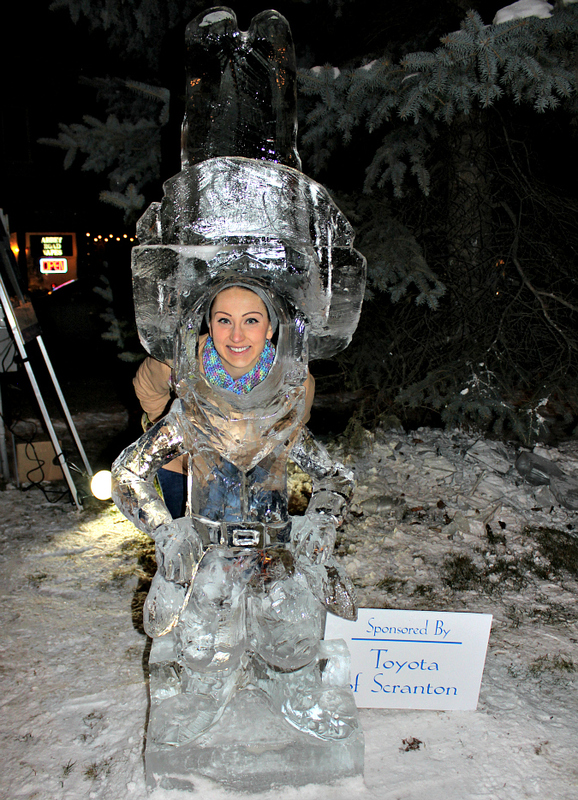 every year, clarks summit holds their annual ice festival over presidents day weekend. we always think about going, but each year something comes up and we end up missing the festival. this year we were determined to check it out. 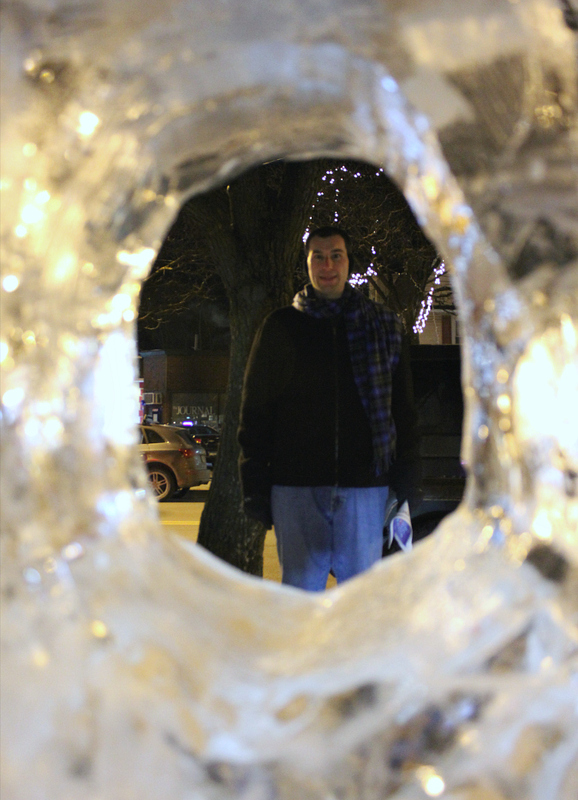 on friday after work, despite the zero degree temperatures, we headed to clarks summit to check out the festival of ice. 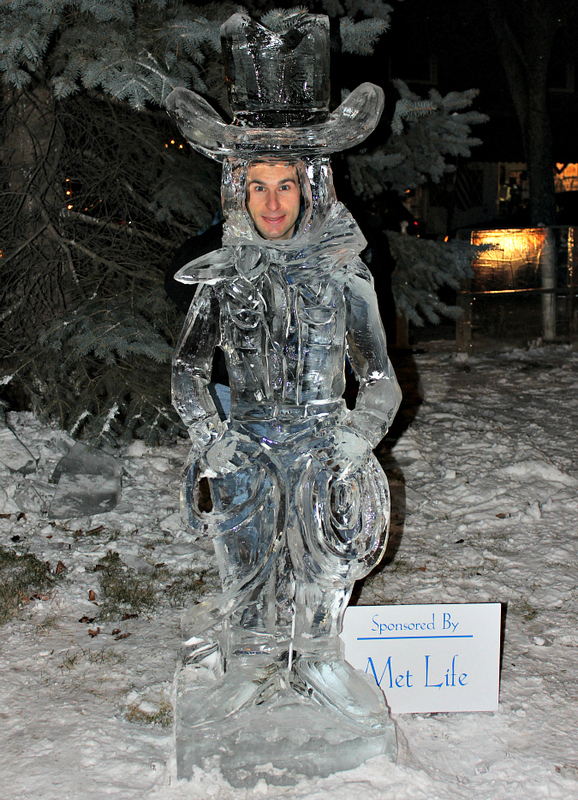 the theme of the festival this year was the frozen frontier and there were over 50 hand-carved ice sculptures all western themed. we bundled up in multiple layers and walked up and down the streets of the town checking out the different ice carvings in front of the local businesses. since we were there at night, it was neat to see all of the ice sculptures lit up. 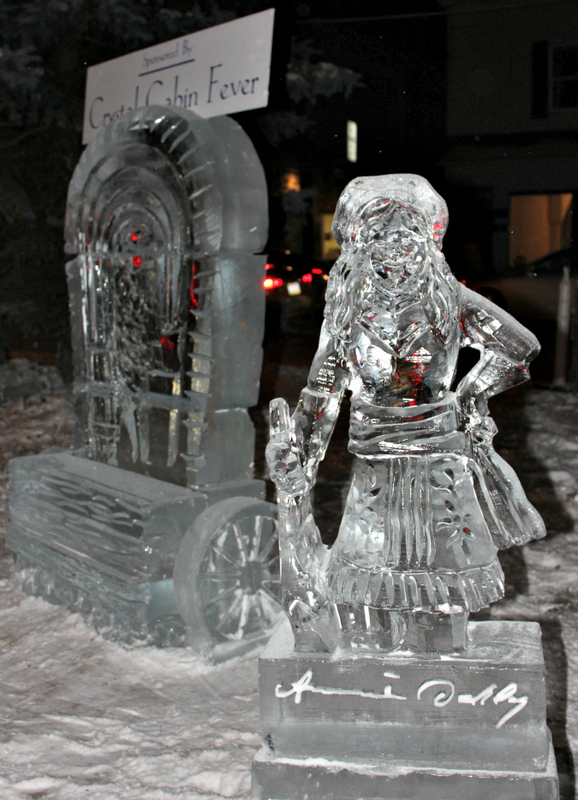 the festival also had free trolley rides around the town to view the ice carvings. 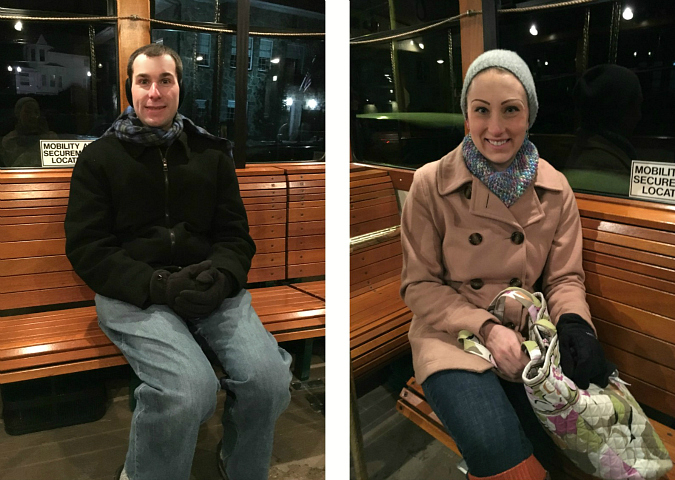 after walking around for a while, we hopped on the trolley to warm up for a bit. it took everything in me not to break out singing the trolley song from meet me in st. louis! 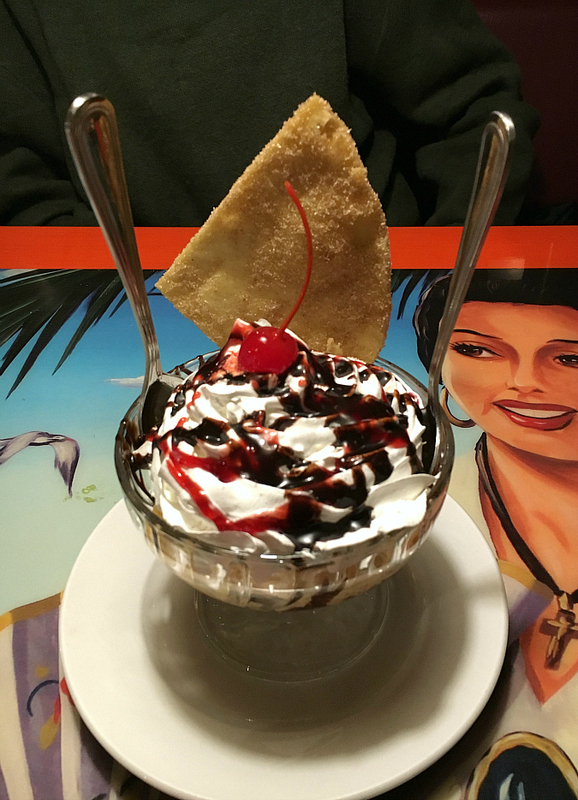 afterwards, we popped into a mexican restaurant for some dinner, and much to our surprise the waiter gave us a free dessert. the night turned out to be a lovely little winter date! Impressive ice sculptures. Delicious looking sundae. It was perfect weather for the ice carvers!